Tom Carling has been a dharma student and practitioner of Insight Meditation for nearly 30 years. He has served NYIMC in many capacities since its inception, including event manager and practice leader, but his primary contributions have been in communications and marketing/promotion. 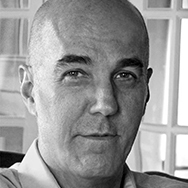 Tom is owner and principle of a publication design firm in lower Manhattan.